Amnesty International - Palestinian Authority (PA) police and security forces in the occupied West Bank must cease using unnecessary and excessive force against demonstrators, and must be held accountable when they commit human rights violations, Amnesty International said today. A new briefing, published today details how police and security forces have repeatedly carried out unprovoked and unlawful attacks on peaceful protesters. It also accuses the PA authorities of allowing them to do so with impunity. During incidents on 30 June and 1 July last year, police and security forces, some in plain clothes, violently attacked peaceful demonstrators who were protesting against a meeting in Ramallah between Palestinian President Mahmoud Abbas and an Israeli government minister. At least five protesters required hospital treatment. The violence caused public outrage and in its aftermath President Abbas announced that he had appointed an Independent Investigative Committee to look into the conduct of the police and security forces. The Interior Minister also set up a separate internal investigation. More than a year later, the PA has yet to publish the full report of the independent investigation although it has disclosed a summary of the findings, including that PA police and security forces used “unnecessary”, “unjustified” and “disproportionate” force against peaceful protesters who posed no risk and journalists, and acted outside the law. The Interior Ministry’s internal investigation is said to have reached similar conclusions, although its report has not been published either. Most recently, PA police and security forces are alleged to have violently attacked peaceful protesters on at least four separate occasions in July and August 2013. Some attacks were carried out by officers in plain clothes who targeted and sought to intimidate women protesters and journalists present to report on the demonstrations. Security forces were also implicated in causing the deaths of two Palestinians in recent months. On 8 May, Khaleda Kawazbeh died in unexplained circumstances during a PA police raid in the village of Se’ir, near Hebron, and eight others were injured. 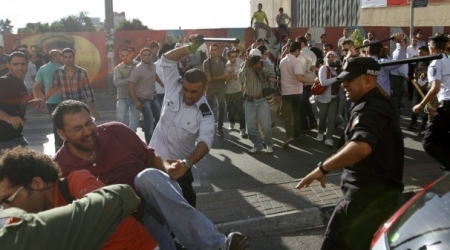 On 27 August, Amjad Odeh, 37, died after he was shot in the head, apparently by PA police, during a protest. Amnesty International is also calling on the EU, the USA and other donor governments that have provided financial aid to the PA to train its police and security forces to demand that they are held accountable to international human rights law and standards. “International donors need to make clear to the PA’s leadership that they are not prepared to tolerate continued rights violations by PA police and security forces and that future assistance is dependent on PA leaders’ ensuring full accountability,” said Philip Luther. Office for the Coordination of Humanitarian Affairs in the Occupied Palestinian Territories (OCHA-OPT) has recorded at least ten settler-related incidents resulting in injury to Palestinians or damage to their property between 10-16 September 2013 OCHA. In its 'Protection of Civilians Weekly Report | 10 - 16 September 2013', says this is an increase in incidents compared to a weekly average of four in the past three weeks, WAM reported. OCHA is the part of the United Nations Secretariat responsible for bringing together humanitarian actors to ensure a coherent response to emergencies. 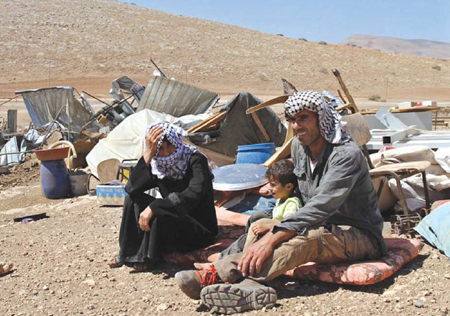 Large-scale demolitions in several locations; an entire community displaced On 16 September, the Israeli authorities demolished all residential and livelihood structures (except two fodder storage rooms and a solar panel) in the Bedouin community of Mak-hul in the Jordan Valley due to the lack of Israeli-issued building permits. The 58 structures, included ten residential tents, 28 animal shacks and pens, nine kitchens, nine latrines, a storage room and a zinc shade that was used as a kindergarten (which was partially demolished). Some of these structures were funded by international donors. As a result, ten families comprising 48 people, including 16 children, were displaced. In the course of the demolitions, a number of animal troughs and small water tanks as well as personal belongings were buried under the rubble. OCHA says on 17 September, Israeli forces shot and killed a 19-year old Palestinian man during clashes that erupted in a search-and-arrest operation in Jenin refugee camp. In Gaza Strip, while there was relative calm during the reporting period, with no reports of Israeli airstrikes or Palestinian rockets, incidents in the context of Israeli restrictions on Palestinian access to land and at sea continued. On at least two occasions, Israeli forces stationed near the fence between Israel and the Gaza Strip opened warning fire at farmers, forcing them to leave their land. No injuries or damage to property were reported. Israeli forces also conducted three land-leveling operations. On 12 September, a female Israeli settler was injured after Palestinians threw stones at her vehicle while travelling near Beit Ummar (Hebron). Three Palestinian-plated vehicles sustained damage in two additional stone-throwing incidents perpetrated by settlers near Al Mughayyir village and Al Jalazun refugee camp (both in Ramallah). Also on 10 September, a group of Israeli settlers slashed the tires of three Palestinian buses in Ath Thuri (Jerusalem) and sprayed "price-tag" graffiti on them. He indicated that both of them are under 14 and were previously detained. Khuffash demanded UN institutions and child protection centers to bear their moral and legal responsibilities towards these unstopping violations. 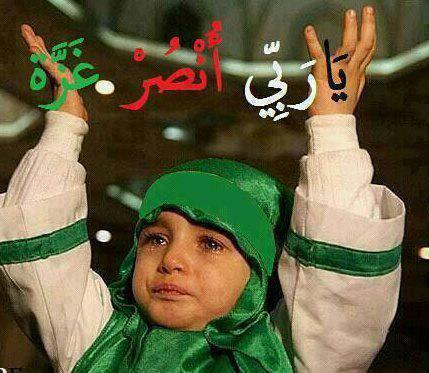 “Nearly 210 Palestinian children lie in Israeli jails,” the statement said. Most of the minors imprisoned by Israel are detained on charges like stone-throwing, Israel-based human rights group B'Tselem says. In its weekly report, United Nations for the Coordination of Humanitarian Affairs in Palestinian occupied territories (OCHA) warned of worsening humanitarian situation in Gaza due to the closure of the Strip's border crossings. The report pointed to the confrontations between Palestinians and Israeli forces across the West Bank in during the week, including the villages of Abu Dis (Jerusalem) and Beit Ummar (al-Khalil), and Al Jalazun refugee camp and Ofer checkpoint (both in Ramallah). OCHA confirmed, in its weekly report, that the Israeli forces have demolished dozens of residential and livelihood structures, displacing an entire community in the Jordan Valley. During the reporting period, OCHA documented an increase in settlers' attacks, where it recorded at least ten settler-related incidents resulting in injury to Palestinians or damage to their property. The report also pointed to the demolition of tunnels under the Gaza-Egypt border by Egyptian forces, which resulted in significant shortages of goods, including fuel and construction materials, over the past two months. “Due to the decline in tunnel activity, less than 300,000 liters of fuel per day entered Gaza via the tunnels for all needs, including for the Gaza Power Plant (GPP), compared to approximately one million per day prior to June 2013. With no fuel reserves available, the GPP has continued operating at half of its full capacity, triggering long electricity blackouts of up to 12 hours per day; in some areas, power cuts are reaching up to 16 hours per day”, the report said. Fuel shortfalls have also continued to disrupt the provision of basic services, including water supply, sanitation, health and transportation services, the human rights institution added. 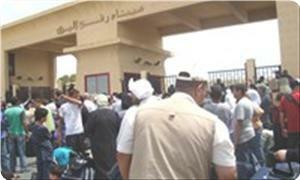 OCHA report referred to the closure of Rafah crossing which has been completely closed for 24 days since early July. Since then, when open, the crossing has operated four hours per day (six days per week) compared to nine hours (seven days per week) prior to early July. 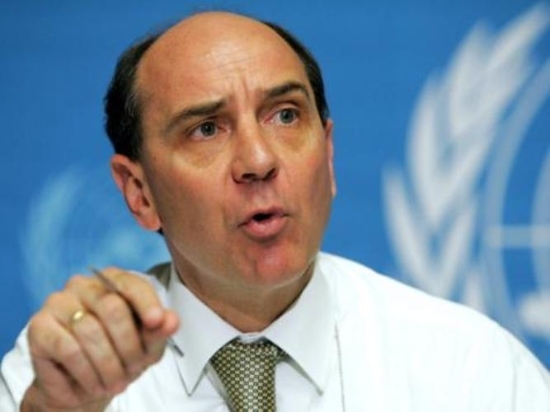 The United Nations Humanitarian Coordinator, James W. Rawley, expressed in a press release, deep concern that Israeli forces prevented the provision of humanitarian assistance to a community in urgent need in the Jordan Valley in the occupied West Bank. In today's incident, Israeli forces seized a vehicle carrying tents from an international humanitarian organisation destined for the community of Makhul, where 48 Palestinians, including 16 children, are in urgent need of emergency shelter following repeated demolitions this week by the Israeli authorities. The forces also confronted members of the humanitarian and diplomatic communities who were present on site. "The United Nations and its partners remain committed to providing humanitarian assistance to populations in immediate need", Mr. Rawley said, adding that the international humanitarian community would continue efforts to mitigate the humanitarian impact, including displacement and loss of livelihoods, of demolitions which have been on the rise over recent months in the West Bank. "I call upon the Israeli authorities to live up to their obligations as occupying power to protect those communities under their responsibility, including to halt demolitions of Palestinian homes and property," said Mr. Rawley. "The displacement of a whole Palestinian community in the occupied Palestinian territory is a very disappointing development at such a delicate moment where we look forward to positive measures on the ground", Mr. Rawley concluded. In its Weekly Report On Israeli Human Rights Violations in the Occupied Palestinian Territories for the week of 12- 18 September 2013, the Palestinian Center for Human Rights (PCHR) found that Israeli forces continued systematic attacks against Palestinian civilians and property in the occupied Palestinian territories. Israeli forces killed a Palestinian civilian and wounded 4 others, including 3 children, in Jenin refugee camp, in the northern West Bank. Israeli forces conducted 42 incursions into Palestinian communities in the West Bank. At least 41 Palestinian civilians, including 9 children, were abducted in the West Bank. During the reporting period, Israeli forces raided a house in Jenin refugee camp and killed a Palestinian civilian. In addition, they wounded 4 others, including 3 children, in the same operation. Israeli forces wounded 8 others during incursions in different areas in the West Bank. Moreover, 3 women, including 2 sisters and their aunt, one of whom is disabled, sustained bruises when Israeli forces attacked them during an Israeli incursion into Kherbet Safa to the south of Beit Ummar, north of Hebron. On 17 September 2013, Israeli occupation forces killed a Islam Hussam al-Tubasi (20) and wounded 4 others, including 3 children, in Jenin refugee camp in the northern West Bank. Al-Tubasi was wounded by 2 bullets to the abdomen when Israeli forces raided his bedroom. They took him out of the house bleeding and fired at his legs again in front of the building. This happened when Israeli forces moved into Jenin refugee camp and raided the victim's house. During this attack, a number of young men gathered and threw stones at Israeli military vehicles. In response, Israeli soldiers fired rubber-coated metal bullets and sound bombs. As a result, 4 civilians, including 3 children, were wounded. On 13 September 2013, Nesfat Ishteiwi (25) was hit by a tear gas canister to the head when clashes erupted between Palestinian civilians and Israeli forces that moved into Qalqilia. On the same day, Israeli forces attacked Nabila Abu Daiya (29), a disabled person, her sister Jamila (30) and their aunt Maliha (50) when Israeli forces moved into Kherbet Safa to the south of Beit Ummar, north of Hebron. On 12 September 2013, 7 civilians sustained bullet and shrapnel wounds when Israeli forces moved into Nablus to secure and protect settlers, who moved into Joseph Tomb to perform Talmudic rituals. 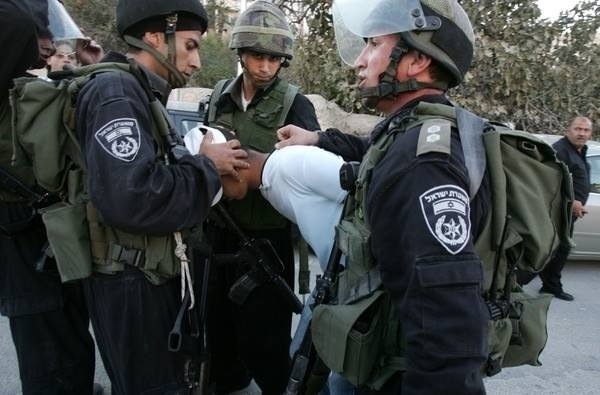 Israeli forces abducted one of the wounded persons after chasing him. Israeli forces claimed that wounded person had opened fire at them. In the Gaza Strip, on 12 September 2013, Israeli forces stationed along the border fence moved about 200 meters into the east of Khuza'a village, east of Khan Yunis in the southern Gaza Strip. They levelled lands along the border fence and withdrew later. On 15 September 2013, Israeli forces moved about 200 meters into the east of al-Shuhada' cemetery, east of Jabalia, in the northern Gaza Strip. They levelled lands along the border fence and opened fire sporadically. As a result, dozens of farmers were denied access to their lands. Israeli forces withdrew at approximately 12:00, on the same day. Neither casualties nor material damage were reported. 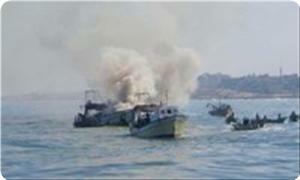 On 16 September 2013, Israeli gunboats stationed off al-Waha resort, northwest of Beit Lahia in the northern Gaza Strip, opened fire at Palestinian fishing boats that were sailing about 4 nautical miles off the shore. The fishermen were frightened and fled back to the shore fearing of being abducted or injured. Neither casualties nor material damage were reported. On 17 September 2013, Israeli forces moved about 200 meters into the east of Khuza'a village, east of Khan Yunis. They levelled lands along the border fence, moved northwards and withdrew later. On the same day, Israeli forces conducted a similar incursion in the east of al-Faraheen neighbourhood in Abassan, east of Khan Yunis. They levelled lands, opened fire sporadically and withdrew few hours later. Israeli forces demolished a residential compound resided by 10 Palestinian families, including farmers and shepherds, in Mak'houl area in the northern Jordan Valley. 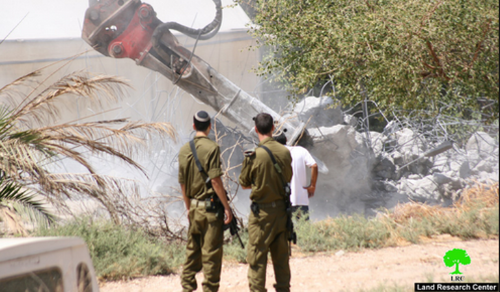 Israeli forces demolished 4 civilian facilities in Barta'a village and razed 5 agricultural dunums, south of Qalqilia. Israeli forces handed distributed notices to halt construction works in 2 houses north of Bruqin village. Settlers set fire to an under-construction house in Madama village, south of Nablus. Settlers stormed a water well and performed Telmudic ristuals, south of Bethlehem. Israeli forces obliged dozens of families in the northern Jordan valley to evacuate the area under the pretext of military training. As a result, 3 civilians, including a photojournalist, were wounded. Furthermore, dozens suffered tear gas inhalation and other sustained bruises. Following the Friday prayer, 13 September 2013, dozens of Palestinian civilians and international and Israeli human rights defenders organised a peaceful demonstration in Bil'in village, west of Ramallah, in protest at the construction of the annexation wall and settlement activities. The demonstrators raised the Palestinian flag and made their way towards the annexation wall. Israeli forces closed the wall gate with barbwire and when the demonstrators attempted to access the lands behind the barbwire, they were stopped by Israeli soldiers. The demonstrators threw stones at the Israeli soldiers who responded with live ammunition, rubber-coated metal bullets, sound bombs, and tear gas canisters, and chased them across olive fields as far as the outskirts of the village. As a result, dozens suffered tear gas inhalation and others sustained bruises. At approximately 12:30, on Friday, 13 August 2013, dozens of Palestinian civilians from Kofur Qaddoum, northeast of Qalqilia, and international activists gathered and made their way through the eastern entrance of the village in protest at closing that entrance with an iron gate since al-Aqsa Intifada in 2000. Israeli forces fired tear gas canisters randomly. As a result, dozens suffered tear gas inhalation. Due to the number and severity of Israeli human rights violations this week, the PCHR made several recommendations to the international community. Among these were a recommendation that the European Union activate Article 2 of the EU-Israel Association Agreement, which provides that both sides must respect human rights as a precondition for economic cooperation between the EU states and Israel, and the EU must not ignore Israeli violation and crimes against Palestinian civilians. Palestinian fisherman on Wednesday sustained wounds that led to the amputation of one of his fingers when the Israeli naval forces opened heavy fire at a fishing boat carrying five fishermen. The occupation forces attacked the boat although the fishermen were fishing about 6 nautical miles west of the Gaza seaport. The Palestinian Centre for Human Rights (PCHR) condemned the Israeli continued attacks on Palestinian fishermen in the waters of Gaza, and expressed deep concern at the persistent violations of the their right to freely fish in the Gaza sea. It called for an immediate end to the policy of chasing the fishermen and allowing them to freely exercise their work. It also called for compensating the Palestinian fishermen for the physical and material damages caused to them. The center asked the international community, including the High Contracting Parties to the Fourth Geneva Convention of 1949, to intervene in order to stop all Israeli abuses against the fishermen and to allow them to freely fish in the Gaza sea. On Monday, 16 September 2013, Israeli forces demolished Makhoul community to the east of Tubas town in the northern Jordan Valley in the north of the West Bank, rendering 48 Palestinians, including 17 children, homeless. They also confiscated humanitarian aids and tents provided to the community, and held 2 trucks that were transporting humanitarian aid to the affected families. According to investigations conducted by the Palestinian Center for Human Rights (PCHR), at approximately 04:45 on Monday, 16 September 2013, Israeli forces backed with 10 military vehicles and 3 bulldozers stormed Makhoul area to the north of Tubas town in the northern Jordan Valley. They immediately started demolishing a Palestinian residential community where 10 Palestinian families of farmers and shepherds, comprised of 48 individuals, including 17 children, live. In this operation, Israeli forces demolished 12 tents and tin-made houses, a number of subordinate kitchens and mobile bathrooms and 28 barnyards. 1) The family of Mohammed Ali Bisharat: A mobile bathroom, a 30-square-meter kitchen, a 160-square-meter tent, an 80-square-meter animal barrack and a 170-meter-long animal farm were demolished, and 5 individuals, including 3 children, were rendered homeless. 2) The family of Younis Mohammed Abu Hilaw (Daraghma): A mobile bathroom, a 20-square-meter kitchen, a 72-square-meter housing barrack, an 80-square-meter animal barrack and a 200-meter-long animal farm were demolished, and 4 individuals were rendered homeless. 3) The family of Ahmed Khalaf Bani Ouda: A mobile bathroom, a 25-square-meter kitchen, a 60-square-meter housing barrck, a 40-square-meter animal barrack, an 80-square-meter animal barrack, a 150-meter-long animal farm and a 30-square-meter store were demolished, and 3 individuals were rendered homeless. 4) The family of Mohammed Younis Abu Hilwa (Daraghma): A mobile bathroom, a 20-square-meter kitchen, an 84-square-meter house, an 80-square-meter animal barrack and a 200-meter-long animal farm, and 4 individuals were rendered homeless. 5) The family of Burhan Hussein Bisharat: A mobile bathroom, a 16-square-meter kitchen, 3 30-square-meter housing barracks, a 250-square-meter animal barrack, an 300-meter-long animal farm and a 36-square-meter bird farm were demolished, and 10 individuals, including 8 children, were rendered homeless. 6) The family of Mahmoud Ali Bisharat: A mobile bathroom, a 20-square-meter kitchen, a 60-square-meter house, a 60-square-meter animal barrack, and a 100-meter-long animal farm were demolished, and 4 individuals were rendered homeless. 7) The family of Ahmed Abdullah Bani Ouda: A mobile bathroom, a 25-square-meter kitchen, a 60-square-meter house, an 80-square-meter animal barrack, a 25-square-meter animal barrack, and a 60-meter-long animal farm were demolished, and 5 individuals were rendered homeless. 8) The family of Ashraf Hussein Bisharat: A 36-square-meter house, a 110-square-meter animal barrack and a 60-meter-long animal farm were demolished, and 3 individuals, including a child, were rendered homeless. 9) The family of Yousef Hussein Bisharat: A mobile bathroom, a 20-square-meter kitchen, a 60-square-meter house, a 150-meter-long animal barrack, a 120-meter-long animal farm, a 200-square-meter animal farm and a 10-square-meter bird tent were demolished, and 7 individuals, including 5 children, were rendered homeless. 10) The family of Hussein Ahmed Bisharat: A mobile bathroom, a 30-square-meter kitchen, a 72-square-meter housing tent and 250-square-meter animal barrack were demolished, and 2 individuals were rendered homeless. Makhoul area is located between a number of Israeli settlements, including "Ru'ei" and "Hamdat," and an Israeli military post. 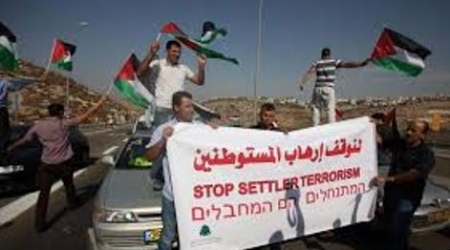 Over the past years, residents of the area were subject to attacks by Israeli forces and settlers. These latest demolitions were carried out for the purpose of settlement expansion. In the same context, on Tuesday, 17 September 2013, Israeli forces forced dozens of Palestinian families in al-Burj and al-Mayta areas in Wadi al-Maleh in the northern Jordan Valley to leave these areas allegedly to conduct military training. According to local sources, in the early morning, Israeli forces closed al-Burj and al-Mayta areas and Tayaseer checkpoint and evacuated dozens of Palestinian civilians from their tents. It should be noted that Israeli forces notified those civilians to leave the area on 10 September 2013 allegedly to conduct military training. 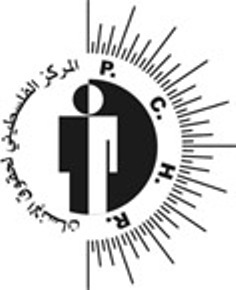 PCHR condemns the demolition crime committed by Israeli forces in Makkhoul area, and views it as part of the policy of forcible displacement adopted by Israeli forces in Area C in the West Bank, which is under full Israeli control according to Oslo Accords signed between Israel and the Palestine Liberation Organization. Israel adopts this policy for the purpose of settlement expansion, especially in the Jordan Valley, over which Israel plans to maintain control even if a final political solution is concluded with the Palestinian National Authority. PCHR reminds the international community that Israeli forces violate the 1949 Fourth Geneva Convention Relative to the Protection of Civilian Persons in Time of War, especially Article 33 which prohibits collective punishment, and Article 147 which considers extensive destruction and appropriation of property, not justified by military necessity and carried out unlawfully and wantonly a grave breach of the Convention, that amounts to a war crime according to Article 85(5) of Protocol (I) Additional to the Geneva Conventions. These crimes constitute also a violation of Article 11 of the International Covenant on Economic, Social and Cultural Rights, which ensures the the right of everyone to an adequate standard of living for himself and his family, including adequate food, clothing and housing. Therefore, PCHR calls upon the international community to take immediate and effective actions to put an end to such crimes and reiterates its call for the High Contracting Parties to the Fourth Geneva Convention of 1949 to fulfill their obligations under Article 1; i.e., to respect and to ensure respect for the Convention in all circumstances, and their obligation under Article 146 to prosecute persons alleged to commit grave breaches of the Fourth Geneva Convention. These grave breaches constitute war crimes under Article 147 of the same Convention and Protocol I Additional to the Geneva Conventions. 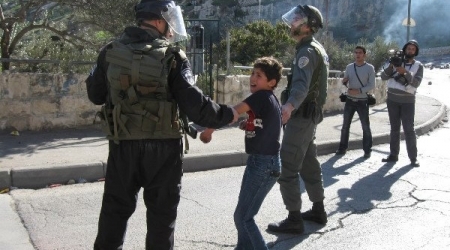 European Network to Support the Rights of Palestinian Prisoners (UFree) issued a report denouncing the Israeli arbitrary arrest of Palestinian children in occupied Jerusalem. The statement came after the army kidnapped eight children from the Shu’fat refugee camp, in the occupied city. UFree said that, on Monday [September 18, 2013] the Israeli District Court in occupied Jerusalem sentenced eight Palestinian children from Jerusalem to actual imprisonment for periods between 17 and 44 months. It added that Israel is also resorting to placing dozens of residents under house arrests, in addition to its illegal detention policies and its arbitrary forced exile of certain detainees. Head of the Jerusalem Poisoners Families Committee, Amjad Abu Asab, told UFree that Israel alleges that the kidnapped children threw stones at the Israeli army, and added that the children were violently beaten and assaulted by the soldiers during the course of their arrest, and were subject to physical and psychological torture during interrogation, in direct violation of international law and all related human rights treaties. He said that Israel is currently holding captive around 230 Palestinian children, held in direct violations of all human rights treaties, facing abuse, sleep deprivation, assaults, and are denied family visits. UFree said that imprisonment of children comes in direct violation of the Fourth Geneva Convention, especially article #147 that prohibits torture, inhuman treatments, biological experiments on detainees, inflicting suffering and harm, and serious injuries to body and health. It added that the Israeli army and police kidnap approximately 700 children each year. Some for short periods, while others are sent to court, and sentenced to months and even years, or forced under house arrest, in addition to facing high fines imposed by Israel’s courts. In a recent report, UFree detailed the ill-treatment of Palestinian children imprisoned by Israel. The detailed analysis was based on legal testimonies from children who faced these violations. These violations included extreme torture, cuffing the detainees with plastic cuffs for extended periods of time, sleep deprivation, and various methods outlawed by International Law. Israeli Forces Use Excessive Force Killing Palestinian Civilian and Wounding 4 Others, Including 3 Children, in Jenin Refugee Camp. In an excessive use of lethal force, on Tuesday morning, 17 September 2013, Israeli occupation forces killed a Palestinian civilian and wounded 4 others, including 3 children, in Jenin refugee camp in the northern West Bank. According to investigations conducted by the Palestinian Center for Human Rights (PCHR) and the testimonies of the victim’s two brothers – Kamal, 34, and Mustafa, 23, at approximately 02:30 on Tuesday, 17 September 2013, Israeli forces in about 22 military vehicles moved into Jenin refugee camp, west of Jenin town. A number of young men gathered and threw stones at Israeli military vehicles. In response, Israeli soldiers fired rubber-coated metal bullets and sound bombs. The clashes continued for a few hours, but no casualties were reported. At approximately 06:00, Israeli forces moved back to edges of the camp. Half an hour later, a special unit of Israeli forces backed with 4 military vehicles moved into the camp. They stationed in the center of the camp. Israeli soldiers who were in black military uniform raided 3-storey apartment building belonging to Hussam al-Tubasi. Israeli soldiers blew up the doors of the house and stepped up to a room on the roof where the owner’s sons, Islam, 20, and Mustafa, 23, live. Islam and Mustafa got out of their room to find out what was going on as they heard explosions. Immediately, Israeli soldiers kicked Mustafa, pushed him to the ground and handcuffed him. He saw Israeli soldiers pushing Islam into the room. Two Israeli soldiers then pulled Mustafa down to the second floor and held him in a bathroom. In the meantime, sounds of shooting were being heard on the roof. A few minutes, Israeli soldier stepped down taking Islam who was bleeding. They fired at his legs again in front of the building and took him. Soon after, Israeli forces brought backups into the camp. A number of young men and children gathered and threw stones and home-made hand grenades at Israeli forces that were surrounding al-Tubassi’s house. Israeli soldiers opened fire indiscriminately. 4) Mohammed Wa’el Ghazzawi, 16, wounded by a bullet to the right foot. In the afternoon, an ambulance of Palestine Red Crescent Society moved to Salem military post, northwest of Jenin, and received Islam’s body as he had be pronounced dead in an Israeli hospital. The body was taken to Jenin Hospital, where medical sources stated that the victim was hit by 2 live bullets to the abdomen and 2 ones to the legs. It should be noted that Tubassi is the third civilian killed in Jenin refugee camp in 4 weeks. On 20 August 2013, Israeli forces killed Majd Mohammed al-Shahla, 21, and wounded 3 others, including 17-year-old Kareem Subhi Abu Sbaih, who succumbed to his wound on 31 August 2013. PCHR is deeply concerned over this crime, which further proves the use of excessive force by Israeli forces against the Palestinian civilians in disregard for the civilians’ lives. Therefore, PCHR calls upon the international community to take immediate and effective actions to put an end to such crimes and reiterates its call for the High Contracting Parties to the Fourth Geneva Convention of 1949 to fulfill their obligations under Article 1; i.e., to respect and to ensure respect for the Convention in all circumstances, and their obligation under Article 146 to prosecute persons alleged to commit grave breaches of the Fourth Geneva Convention. These grave breaches constitute war crimes under Article 147 of the same Convention and Protocol (I) Additional to the Geneva Conventions. A Palestinian human rights center charged that the Israeli occupation forces deliberately assassinated Islam Al-Tobasi, who died of gunshot wounds two hours after his arrest. The Israeli soldiers had savagely broken into Tobasi's house on Tuesday morning amid heavy gunfire. They shot him directly in his foot although he did not pose any threat to them. Once they approached him, they shot him again and dragged him brutally on the ground despite his bleeding, Palestine Center for Prisoners' Studies said. Tobasi died shortly after being transferred to hospital where he did not receive any first aid, the center added. The human rights center held the IOF fully responsible for the deliberate field execution especially that the martyr was not armed and did not pose any threat to the Israeli soldiers. Around 75 Palestinians were killed in the same way since 1967, they were all registered within Captive Movement's martyrs list where they were shot and killed after being arrested and kidnapped either from hospitals or ambulance vehicles, the center said. Islam is the brother of the martyr Ahmed Tobasi and the captive Said Tbasi who was arrested since November 2012 and sentenced to 32 life sentences for being affiliated with al-Quds Brigades, the armed wing of Islamic Jihad. The center called for reactivating armed resistance in the West Bank in response to the Israeli continued crimes of murder, detention, Judaization, confiscation, demolition and deportation against Palestinian citizens and properties. A report by the Catholic human rights group, the Society of St. Yves, published on Monday said the Israeli Ministry of Interior has rejected 43% of the applications for family unification submitted by Palestinians since the year 2000 and 24% of the child registration applications submitted since 2004. It said that the ministry denied the registration of 12 minors under 14 years of age due to security reasons. Palestinian residents of Jerusalem or Israel who marry spouses from the West Bank, Gaza or outside the Palestinian areas have to submit an application for family reunification with the Israeli Ministry of Interior for their spouses to be able to live with them. However, the ministry has stopped processing such applications, mainly for spouses from the West Bank or Gaza, since the late 1990s and keeps extending a law freezing family reunification every time the period stated in the law, which is six months, expires. Palestinians accuse Israel of following an ethnic cleansing policy against them to keep a clear Jewish majority in Israel. Between 2000 and July 2013, the Ministry of Interior received 12,284 family unification applications, said St. Yves. A total of 5,629 applications were approved and 4,249 rejected. It said that 20% of the rejected applications were done due to security concerns and 13% were rejected on bases of the center of life policy, which means that the applicants could not prove that their center of life was in Jerusalem or Israel. The figures also indicate that there is a big delay in processing the applications and taking decisions in them, said the report. In 2012, 809 new applications were filed while just 332 cases were concluded. The Society of St. Yves, which defends Palestinian rights in Jerusalem, said that due to the delay in processing applications, some 10,000 persons are living in uncertainty, which is proportionately 2.6% of the population in East Jerusalem. The report said that between 2004 and July 2013 the Ministry of Interior received 17,616 applications for child registration - 12,247 were approved and 3,933 rejected, which means 24% of all decisions were negative. Of the rejected cases, 29% were refused on the grounds of the center of life policy and 12 cases rejected on security grounds. In addition, 1,436 cases were pending. In the cases of child registration through the family unification process between 2000 and 2013 239 applications were filed - 120 application were approved and 75 rejected. One case was rejected due to security reasons and 44 on the bases of the center of life policy. The “humanitarian committee” which was established in 2007 and is charged with examining individual requests for family reunification based on specific humanitarian grounds, received 900 applications between 2007 and mid 2013. In 121 cases the committee ruled in favor of the applicants and 415 cases were rejected. Between 2012 and mid-2013, no positive decision was given by the committee. Out of a total of 176 cases submitted in 2012, 59 were rejected. There are still 364 cases pending. “The policies the Israeli Ministry of Interior implements on family unification and child registration scatter Palestinian families and violate the ‘right to a family’ under Human Rights Law. The affected families live in a situation of instability that can last for several years and cause tremendous psychological and social effects on the families and their children. This violates basic rights under International Humanitarian Law and Human Rights Law,” said the director.